1945 NFL Championship program. 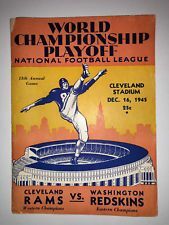 Cleveland Rams vs Washington Redskins at Cleveland. Full and complete. Light wear but overall okay.